This week I introduce you to Katherine Watson, a flutist and piccolo player. I first met Katherine when we were teenagers and both played in the Kawartha Youth Orchestra together, based in Peterborough. I didn’t see her again until years later when she came to McGill for her Master’s degree. I always admired her because she was not only an accomplished musician, but also took part in McGill’s Triathlon Club and led an active, healthy musician’s lifestyle. In this interview, Katherine opens up about physical injuries and being a musician with depression and anxiety. A note from Katherine: It has taken me so long to get this post to Claire. It’s been hard, and I’ve been putting it off again and again, because this topic is tricky to talk about so publicly. I had initially sent Claire a very long ‘story’ version of my musical training, which included not only my experience with physical injuries, but also my struggles with anxiety and depression, which are wholly linked. It was a rather unfocused story, and I also didn’t feel comfortable sharing it shortly after I’d sent it to Claire. So here we are, trying again, with some guidance. If you didn’t play the flute, what instrument would you like to play? I grew up listening to two specific “Classical Kids” cassette tapes. One was about the music of Mozart, The Magic Flute, and the other, Vivaldi’s Ring of Mystery. Probably because of these stories, I was drawn towards either the violin or flute. Had the violin been available to me when I was young, I would have chosen to play that. Or sing. If this question means if I had to stop playing the flute right now, what would I play? I would sing, write more, draw more. What’s been your experience with your health as a flutist? I have experienced some serious injuries, including tendonitis in both forearms at the end of my undergrad, and then four years later, tendonitis where my left thumb meets my wrist. These injuries were caused by tension, bad posture/position, wearing a heavy backpack, and definitely stress. Flute is a very strange instrument when it comes to arm, wrist, and neck position. It’s particularly strange for someone small, and low and behold, I am small. I am an anxious person, and while in my undergrad, I didn’t really know how to cope with the ongoing ‘fight or flight’ mode I was experiencing most of the time. When I’d play in ‘fight’ mode, I’d be strong, but force my way through playing, slamming the keys, pushing air way more than I needed to. In ‘flight’ mode, I experienced some of the most serious panic attacks I’d ever had, and not only with regards to performance. What was your experience like accessing healthcare when you got injured? During my undergraduate degree, I wish I’d had more guidance. Having a performance-related injury really felt like a failure, and no one talked about it very much. I was lucky to have a chamber music coach—Camille Watts, who plays piccolo in the Toronto Symphony Orchestra and also joined a group of artists in creating the Toronto Artist’s Health Alliance—who recommended a physiotherapist for me to see. Unfortunately, I ‘didn’t have time’ to see the physio until after I was finished my degree. I was in so much pain at that point that I took nearly 4 months off of playing to recover. During my Master’s degree, when I began to re-injure my left thumb/wrist, it seemed like everyone was on my side. This was at McGill University, 2015/2016. I saw a physiotherapist who was very familiar with musicians, especially flute players. Unfortunately my university health plan covered very little of this, and I think I’m still recovering from the credit card debt that seeing this physio caused! This is something that I wish was easier to access. Not everyone can afford to ‘get better’. I am lucky that I did decide to see the physio, and it really did help. Photo: Montreal Contemporary Music Lab. From left: Katherine, Jenn Shi and Ana Ruiz. Besides overcoming the physical/mental roadblocks mentioned above, the biggest struggle has been, and still is, understanding that my identity is not solely defined by the instrument that I play. As in, I see myself as so much more than a flute player. When I’d let my identity become too fused with being a flute player, it became extremely depressing when I would encounter problems and injuries directly associated with playing the flute. It was too easy to feel like a failure as a human, instead of disassociating myself from my instrument and taking the time to heal. Another very obvious answer to this question is that choosing to be a musician as a career is very hard financially. It is not easy to make a liveable income as a performer. We (young musicians) all knew this going into university (or at least found out soon enough), and yet we pursued it because we really love making music. I’m not sure I knew what kinds of sacrifices I was making then. At this moment in my life, I feel like I’m doing very well as a musician. I perform often, people ask me to play regularly, I get work, and I love every moment of it. I am artistically satisfied, and I do make money. I do not make a liveable income, and so I work another job. This allows me to support my art, but it also makes time management a very real challenge. I can honestly say, and those who know me well would absolutely agree, I am not someone who fits in to the mould very easily (figuratively, of course!). In the past year and a half or so, I’ve worked very hard to be completely honest and genuine with myself in all of my performances, no matter what. I choose to be a performer over a good flute player. That doesn’t mean I sacrifice the high standard of flute-playing that I set for myself and that is also expected from those who I play with or play for, but in the performing moments themselves, I work very hard to think about the music more than the flute itself. For mental health and physical health, I run a lot. I really love running. I also do triathlons (and just got certified to coach!). But I have experienced serious running injuries as well, which were almost equally as hard to recover from, the mental aspect especially, as performance-related injuries. I have a tendency to push myself too hard (‘fight mode’) but I’m aware of it, and it’s always getting better! For staying calm and keeping myself ‘grounded’ in my own body, I do easy yoga. I’ve done Alexander Technique, and I still take lessons now and again. I eat as healthy as I can, which tends to include a lot of chocolate! Katherine is also a triathlete and a licensed coach. I run a lot. I also swim and bike. I train with coaches and am fascinated by how similar endurance sport training and music training are. I also work as an Executive Assistant in a boutique law firm specializing in climate change. I love to cook and to draw, when life permits and I have the time between everything else. Vivaldi’s Piccolo Concerto in C.
More love, less fear. More understanding of our bodies as athletes and how to work with them, not against them, to facilitate ease in playing our musical instruments for hours and hours per day. Besides being a regular performer, Katherine also teaches flute, theory and beginner piano. You can find out more about Katherine here at her website and follow her on Instagram @katkatwatson. 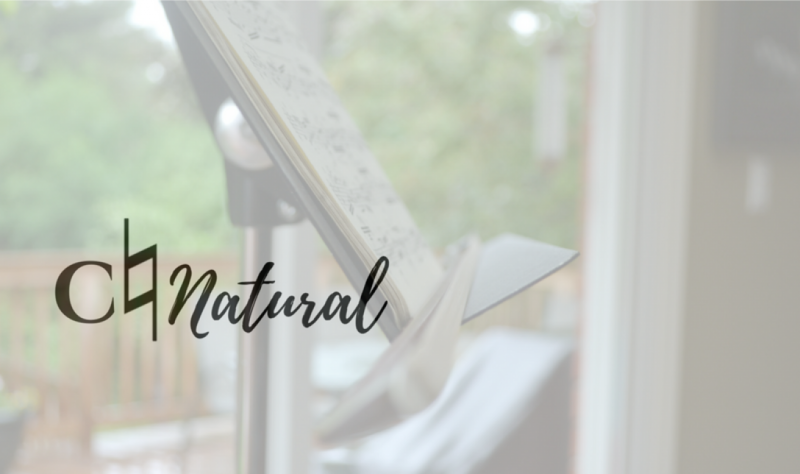 If you have a musicians’ health story to tell, please do not hesitate to contact C Natural (Claire Motyer) here.